This airticle is aboot the ceety in Greece. For the catalog retailer in the Unitit Kinrick an Ireland, see Argos (retailer). For ither uises, see Argos (disambiguation). View o Argos, seen frae the auncient theatre. Argos (Greek: Ἄργος, Árgos, [ˈarɣos]) is a ceety an a umwhile municipality in Argolis, Peloponnese, Greece. Syne the 2011 local govrenment reform it is pairt o the municipality Argos-Mykines, o which it is a municipal unit. It is 11 kilometres frae Nafplion, which wis its historic harbour. A dounset o great antiquity, Argos haes been continuously inhabitit for the past 7,000 years, makin it ane o the auldest ceeties in Greece an Europe. The ceety is a member o the Most Ancient European Towns Network. At a strategic location on the fertile plain o Argolis, Argos wis a major stranghauld durin the Mycenaean era. In classical times Argos wis a pouerful rival o Sparta for dominance ower the Peloponnese, but wis eventually shunned bi ither Greek ceety-states efter remainin neutral durin the Greco-Persie Wars. Numerous auncient monuments can be foond in the ceety the day, the maist famous o which is the renouned Heraion o Argos, tho agricultur (pairticularly citrus production) is the mainstay o the local economy. 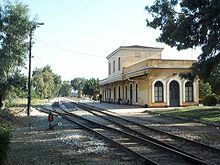 The region o Argos is kent as the Argolis, Argolid, or Argeia. The indwallers o Argos wur kent as Ἀργεῖοι (< *Ἀργεῖϝοι) or Argīvī in Laitin, rendered Argives in Inglis. The name micht be o pre-Greek ("Pelasgian") derivation; the name o its acropolis, Larissa, certainly is. Aitiology derives it frae a meethological foonder, Argos son o Zeus an Niobe (see an aa Danaus). If the name is Indo-European, it mey be relatit tae the adjective αργóς (argós) 'shimmerin' or 'quick') frae PIE *h₂erǵ-, hence an aa ἄργυρος (árguros) 'siller' wi a meanin "shinin brichtly" or seemilar. A Neolithic dounset wis locatit near the central sanctuary o Argois, remuivit 45 stadia (8 km; 5 miles) frae Argos, closer tae Mycenae. The temple wis dedicatit tae "Argivian Hera". The main festival o that temple wis the Hekatombaia, ane o the major festivals o Argos itsel. Walter Burkert (Homo necans, p. 185) connectit the festival tae the meeth o the slayin o Argus Panoptes bi Hermes ("shimmerin" or "quick"), an anerlie seicontarily associatit wi meethological Argus (or the toponym). Argos wis a major stranghauld o Mycenaean times, an alang wi the neighbourin acropolis o Mycenae an Tiryns became a vera early dounset acause o its commanding poseetions in the midst o the fertile plain o Argolis. Durin Homeric times it belanged tae a follaer o Agamemnon an gae its name tae the surroondin destrict; the Argolid which the Romans ken as Argeia. Argos experienced its greatest period o expansion an pouer unner the energetic 7t century BC ruler Keeng Pheidon. Unner Pheidon Argos regained sway ower the ceeties o the Argolid an challenged Sparta’s dominance o the Peloponnese. The importance o Argos wis eclipsed bi Sparta efter the 6t century BC. Because of its refusal tae fecht or send supplies in the Greco-Persie Wars, Argos wis shunned bi maist ither ceety-states. Argos remained neutral or the ineffective ally o Athens durin the 5t century BC struggles atween Sparta an Athens. Durin the 12t century, a castle wis built on Larissa Hill - the steid o the auncient Acropolis - cried Kastro Larissa. Argos wis captured bi the Crusaders, an belanged tae the lairdship o Argos an Nauplie. In 1388 it wis sauld tae the Republic o Venice, but wis taken bi the despot o Mystra Theodore I Palaiologos afore the Venetians coud tak control o the ceety ; he sauld it onywey tae them in 1394. In 1397 the ceety wis plundered bi the Ottoman Empire which carried aff hintle o the population, sellin them as slaves. The Venetians repopulatit the toun an region wi Albanie settlers, granting them long-term agrarian tax exemptions. At the beginnin o the Greek War o Unthirldom in 1821, when mony petty local republics wur formed in different pairts o the kintra, the "Consulate o Argos" wis proclaimed on 26 Mey 1821, unner the Senate o the Peloponnese. It haed a single heid o state, Stamatellos Antonopoulos, styled Consul, atween 28 Mairch 1821 an 26 Mey 1821. Later, Argos acceptit the authority o the unifeed Proveesional Govrenment at the First Naitional Assembly at Epidaurus, an eventually became pairt o the Kinrick o Greece. The ceety o Argos is the seat o the province o the same name, ane o the three subdivisions o the Argolis prefectur. 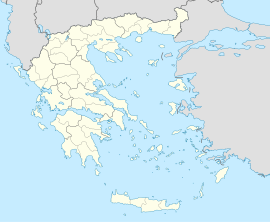 Accordin tae the 2001 Greek census, the ceety haes a population o 27,550. It is the lairgest ceety in the prefectur, ane o the few prefecturs in Greece whaur the lairgest ceety in population is lairger than the prefectural caipital. Considerable remains o the ceety survive an are a popular tourist attraction. Agricultur, houiver, is the primary economic activity in the aurie, wi citrus fruits the predominant crop. Olives are an aa popular here. The meethological keengs o Argos are (in order): Inachus, Phoroneus, Argus, Triopas, Agenor, Iasus, Crotopus, Pelasgus (aka Gelanor), Danaus, Lynceus, Abas, Proetus, Acrisius, Perseus, Megapénthês, Argeus, an Anaxagoras. An alternative version (suppleed bi Tatiānus) o the oreeginal 17 consecutive keengs o Argōs includes Apis, Argios, Kriasos, an Phorbas atween Argus an Triopas, expleenin the apparent unrelation o Triopas tae Argus. Efter the oreeginal 17 keengs o Argos, thare wur three keengs rulin Argos at the same time (see Anaxagoras), ane descendit frae Bias, ane frae Melampus, an ane frae Anaxagoras. Melampus wis succeedit bi his son Mantius, then Oicles, an Amphiaraus, an his hoose o Melampus lastit doun tae the brithers Alcmaeon an Amphilochus. Anaxagoras wis succeedit bi his son Alector, an then Iphis. Iphis left his kinrick tae his nephew Sthenelus, the son o his brither Capaneus. Bias wis succeedit bi his son Talaus, an then bi his son Adrastus who, wi Amphiaraus, commandit the disastrous Seiven Against Thebes. Adrastus bequethed the kinrick tae his son, Aegialeus, who wis subsequently killed in the war o the Epigoni. Diomedes, grandson o Adrastus throu his son-in-law Tydeus an dochter Deipyle, replaced Aegialeus an wis Keeng o Argos durin the Trojan war. This hoose lasted langer than those o Anaxagoras an Melampus, an eventually the kinrick wis reunitit unner its last member, Cyanippus, son o Aegialeus, suin efter the exile o Diomedes. ↑ Bolender, Douglas J. (2010-09-17). Eventful Archaeologies: New Approaches to Social Transformation in the Archaeological Record. SUNY Press. pp. 129–. ISBN 9781438434230. Retrieved 1 January 2011.